J. Paul Verrees, 1918. Collection of the Litchfield Historical Society. By 1917, the European powers had been at war for three years, and their people were feeling the effects in every aspect of their lives. Even vital necessities like food were not guaranteed, and millions of soldiers and civilians alike faced starvation. Many of the farmers had left the fields for the front and the farms near battlefields were trampled or shelled. In an attempt to exacerbate the food crisis in Britain, Germany re-implemented unrestricted submarine warfare on February 1, 1917. This soon brought the United States out of neutrality and officially into the war because American ships (often bringing donated supplies and food to the UK) were now being attacked by Germany with no warning. Charles Livingston Bull, 1918. 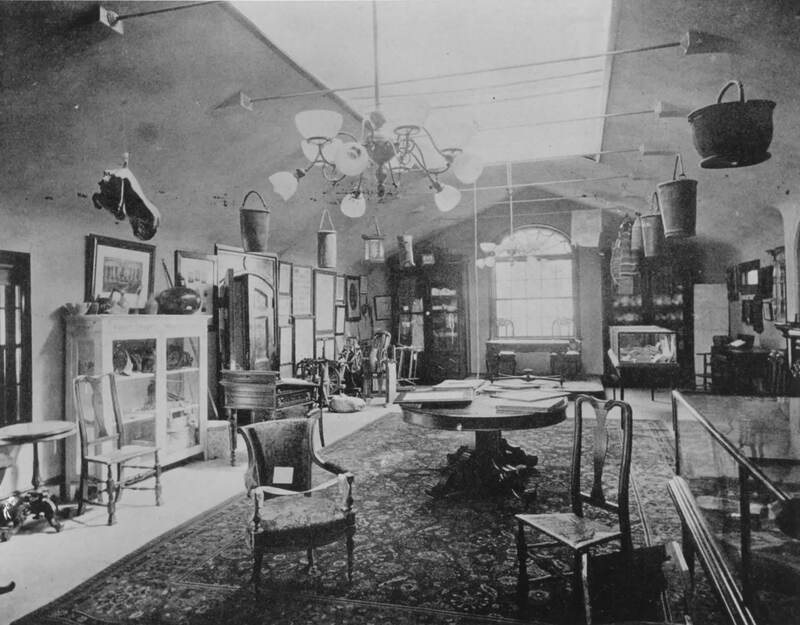 Collection of the Litchfield Historical Society. After the United States entered the war, the government began expanding in order to better orchestrate the country’s war effort. In order to oversee the production and distribution of food Congress enacted the Food and Fuel Control Act, also known as the Lever Act, on August 10, 1917. This act authorized the creation of the US Food Administration. 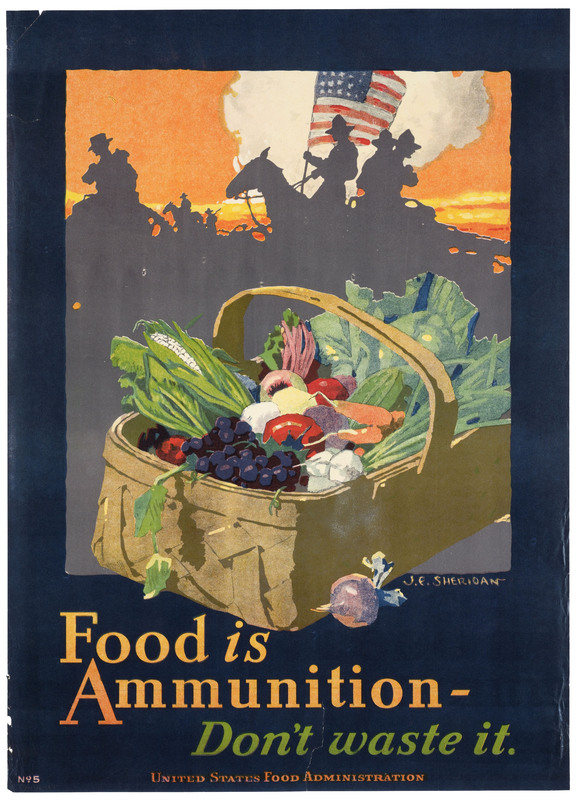 The USFA’s responsibilities were to encourage Americans to use less food in order to better supply both American soldiers and their European allies as well as to prevent hoarding and monopolies. President Wilson appointed Herbert Hoover as the head of the Food Administration. Prior to this the future President had been the chairman of the Commission for Belgian Relief, which coordinated donations and delivered them to the starving people of German-occupied Belgium. In his new role Hoover had authority over all things food in the country, so much so that he was nicknamed the “food czar”. Hoover’s goal was to appeal to the sense of American volunteerism rather than coerce conservation through mandatory rationing. When he took the position as head of the USFA, Hoover implored Americans to “Go back to simple food, simple clothes, simple pleasures. Pray hard, work hard, sleep hard and play hard. Do it all courageously and cheerfully.” (Archives). Hoover sought to cater to American values and patriotism in order to maximize wartime efficiency and minimize negative backlash towards the programs. 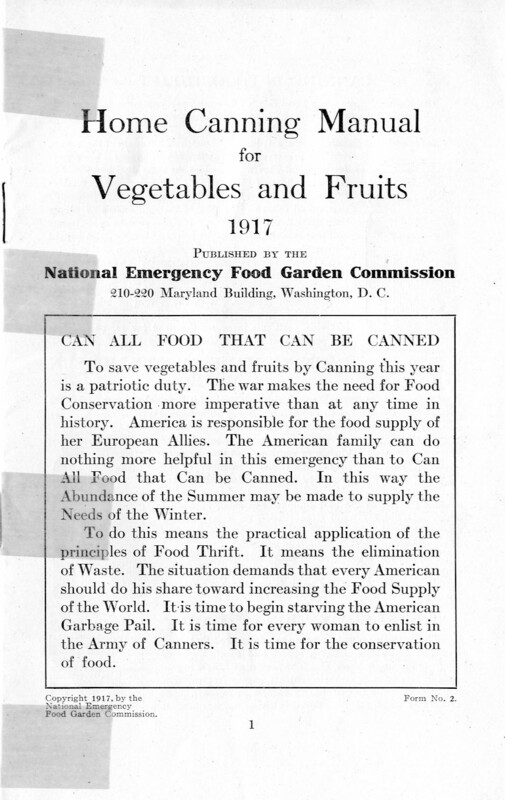 National Emergency Food Garden Commission, 1917. Courtesy Helga J. Ingraham Memorial Library, Litchfield Historical Society. Hoover and the US Food Administration had considerable power over the food industry in America including being able to set prices on essentials like wheat as well as buy and sell goods directly. 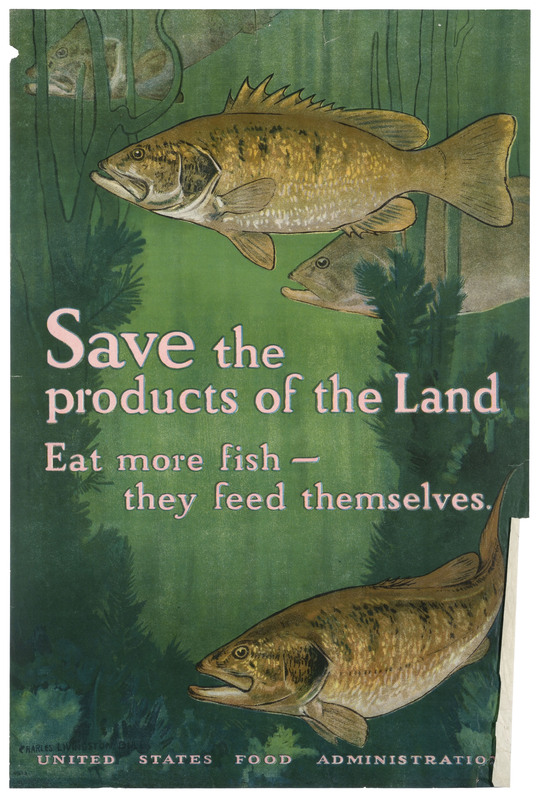 The Food Administration printed many poster advertisements calling for people to do their part in the war effort through canning food or eating certain types of food over others. In addition, there were numerous local food boards that provided guidance for how to reduce consumption, such as the Connecticut Committee of Food Supply. These smaller organizations produced recipes for how to best use common and easily replaceable ingredients, naming the products things like “War Cake”. They also distributed pamphlets and flyers on proper canning and drying techniques. 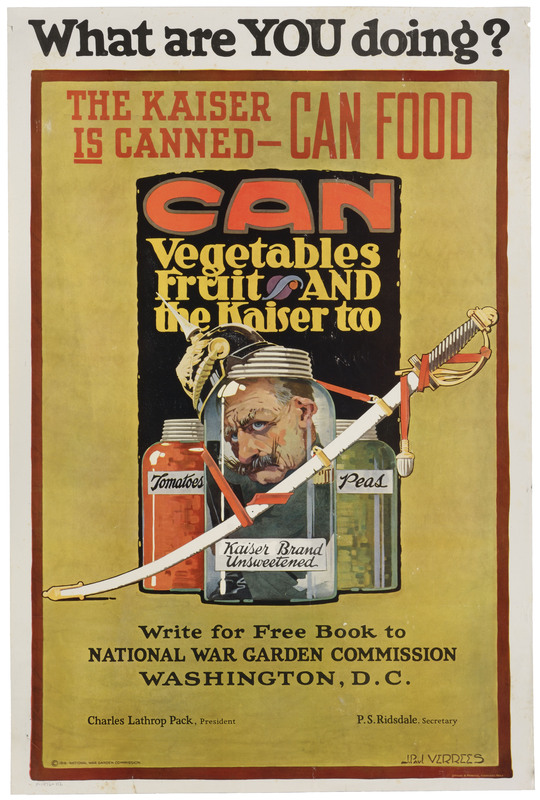 By declaring that “The war makes the need for Food Conservation more imperative than at any time in history” and “It is time for every woman to enlist in the Army of Canners”, these commissions inspired every American by making them feel like they were contributing to the war effort as much as the soldiers going “over there”. People grew “victory gardens” in their lawns and ate new food like dogfish or whale meat. Schoolchildren even signed pledges such as, “At table I’ll not leave a scrap of food upon my plate. And I’ll not eat between meals but for supper time I’ll wait.” (Archives). The US Food Administrations programs were very successful, as food shipments to Europe doubled over the course of a year. Thanks in part to concerted efforts to keep them well fed America and its allies were able to defeat the Central Powers and the armistice was signed on November 11, 1918. Although the war was over, Europe still had some shortages in the following years. Things like butter were still being rationed in Britain until 1920.With its primary purpose now fulfilled, the United States Food Administration transformed into the American Relief Administration in 1919, with Herbert Hoover remaining as its director. The American Relief Administration would go on to deliver 4 million tons of relief supplies to the war-torn countries of Europe. John E. Sheridan, c.1918. Collection of the Litchfield Historical Society. This entry was posted in Artifacts and Archives on August 21, 2017 by Alex Dubois.